The purpose of Bella Voce is to inspire young women, through singing, to realize their highest potential in order to more broadly impact the world. Our purpose is to create an inviting and safe community in which young women can share musical excellence, build confidence, and gain perspective about the world through the gift of music. With focus not only on the highest quality choral performance but also on everything music truly offers, Bella has touched the spirits of thousands of people. The heart of Bella Voce comes from a deep passion for young women and desire to embrace their potential to change themselves and their world through their very unique and personal gift: their voice. We conduct rehearsals at nursing homes, sing at area church services, sing for patients at the Mayo Clinic, and explore other outreach opportunities. Our organization fosters personal growth to help young women understand their value and fullest capabilities. In this process, a metamorphosis occurs as individuals join to create together a vibrant new and beautiful voice -- a "Bella Voce." Our choirs are for singers in grades 1-12 and draws from nine different cities representing 15 area high schools and home schools. With a foundation rooted in the discipline and techniques of healthy singing and exceptional performance artistry, focus is on the highest quality choral experience and everything that music has to offer. Emphasis is placed on weaving together music that relates to world awareness, travel and fellowship. Selections range from classical and spiritual to contemporary, composers from Serbia to America, and languages including Hebrew, Serbian, English and German. Auditions are held in the spring and fall each year. Rehearsals take place for two and half hours once a week, September through May. We emphasize accountability and leadership, with expectations that the girls will practice music on their own and have a commitment to attend sectionals that are student led. Bella Voce, which means “beautiful voice,” is for singers in grades 9-12 and draws girls from nine different cities representing 15 area high schools and home schools. Bella Voce has traveled regionally in Minnesota, Wisconsin and Illinois. In 2009 the group went to Austria, Czech Republic and Slovakia, and in 2012, they traveled to Italy. In 2015, 52 Bella Voce singers, chaperones, and musicians went on a 10-day tour through Europe that spanned seven cities in three countries. Bella Voce sang at three promoted public concerts at magnificent churches, performed at a recital at the Melk Abbey and participated in a school exchange at the Kodály Institute. The choir also toured several palaces, cruised on the Danube River (while singing “Blue Danube”) and experienced the region’s culture with local guides. In 2012 and once again in 2017 Bella Voce was invited to sing for the National American Choral Directors Association (ACDA) National Conference for choral directors from around the world. For the last three years, Bella Voce has been selected to participate in Minnesota Public Radio’s (MPR's) “Taste of the Holidays” broadcast and compilation CD. This is an honor usually offered to professional groups and adult ensembles. Regular rehearsals for Bella Voce are held at St. Luke's Episcopal Church on Sunday evenings from 6:00-8:30 p.m., with rotating sectionals at 5:15 p.m.
Bella Fiore, or “beautiful flower,” was founded in the fall of 2012 for girls entering grades 6-8. Bella Fiore meet at St. Luke's Episcopal Church on Sunday afternoons from 3:15-5:15 p.m. The newest and youngest choir in the troupe is the Bellettes, which consists of singers in grades 1-5. The Bellettes! rehearse and perform during the Spring Semester only (February-May) and perform at the Annual Spring Concert. Rehearsal for the Bellettes are held at St. Luke's Episcopal Church on Sunday afternoons. Bella Voce announces the release of a two-disc compilation CD's celebrating five years of music performed by Bella Voce Young Women's Choir. Picking the tracks for this was extremely difficult --yet very rewarding-- because there is simply so much wonderful music Bella has performed over the past five years! Both CD's has over 20 pieces, each including music from every Bella concert we've performed. These gems are primarily from our spring concerts, so most have not been released previously on the "Bella Christmas" CD's or on the "Best of Bella" disc. Play list of Volume 1 highlights international & upbeat music, while Volume 2 provides powerful and contemplative selections. Both offer a satisfying choral mix that you'll enjoy hearing over and over. Order your personal copy today. Buy some as gifts! The price for each CD is $18. "Not available in any store, at any price!" To order send an email to cindy@SingOutLoud.org or call 507.269.7114. Bella Voce performed at St. Stephen's Cathedral in Vienna. Republic & Slovaki in 2009, and through Italy in 2012. Since then, she has led the organization to add Bella Fiore and most recently The Bellettes! Shelly has a strong desire to be with young women, teaching truths of who they are through the power of music. She is also proud of her beautiful family: Mark, Julia, Samuel and Isaac. They bring her strength and joy! Laurie Priniski is a pianist/flutist who has been involved with the local music scene in Rochester for the past 24 years. 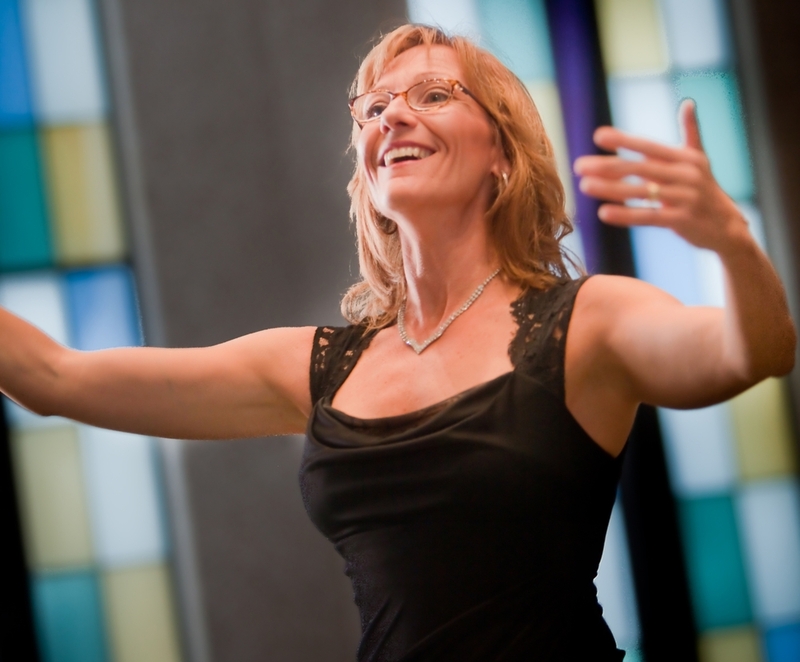 Laurie holds a Bachelor of Music Performance degree from Northern Michigan University. Throughout the years, she has performed in numerous musical theater productions as well as various church/community sponsored musicals and dinner theaters. Laurie is a frequent accompanist at Rochester public and private school choir concerts and has collaborated with the Century High School Choirs for the past 7 years. She was accompanist for the Choral Arts Ensemble from 2004-2012 and staff accompanist for Honors Choirs from 1998-2012. Laurie also enjoys being a church musician and teaching private piano & flute lessons in her Rochester home studio. Stephanie Nolting directs Bella Fiore. She holds her Bachelor of Music Education degree from the University of Wisconsin - Eau Claire. This Fall marks her fifth year of teaching choral music in grades 7-12 at St. Charles High School. 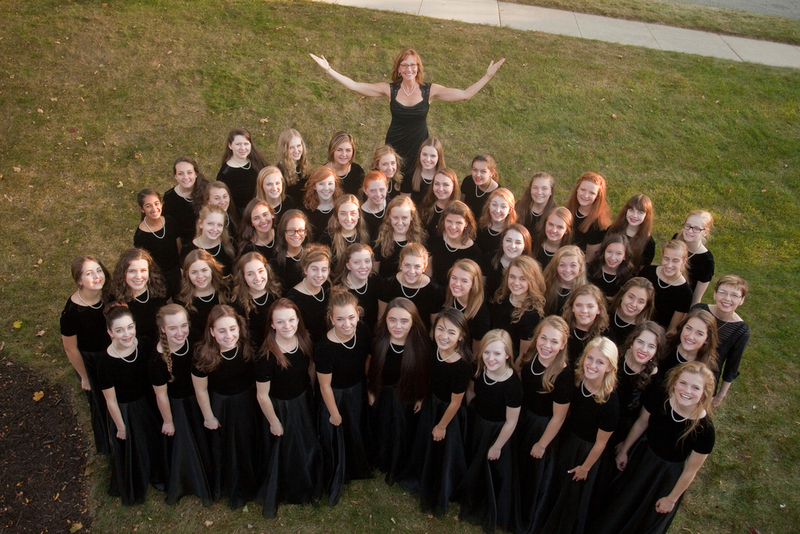 Choirs under her direction have performed at festivals in Nashville, TN and Eau Claire, WI. She has a great passion for unlocking the heart of our human experiences through music. She lives in Rochester, Minnesota with her husband PC and her son Jonah and daughter, Nora. Cindy Pauley's responsibilities as the operations administrator for Sing Out Loud include concert production, organizing singer activities and events, and record keeping. Cindy's background is in Business and Accounting and she has enjoyed many volunteer opportunities with youth.